The idea for this little experiment/project of mine came about while I was exploring OpenGL through the use of Cinder, a C++ library that focuses on creative coding. Among its many features, it supports 2D and 3D graphics through OpenGL. As I was experimenting with building a particle engine, I started thinking about how audio can drive various graphical parameters and elements. We don’t see this very much, but it has some intriguing applications in video games and other interactive media. We all know that randomness is a large part of sound and visual effects in games these days. To illustrate, let’s take an example of a magic spell; both its visual and aural element will have randomness, but will these sync up together? In other words, if a particular instance of the spell’s sound effect contains a lot of high harmonics, does the visual aspect of it respond by being brighter or more energetic? If the visual and aural parts of the spell are completely independent, there is less chance that they will behave as one cohesive unit, where the visual element is accurately reflective of the aural part. It’s a subtle thing, and not applicable in every case, but I strongly believe that these details add much to immersion, and impress upon us a more organic game world. 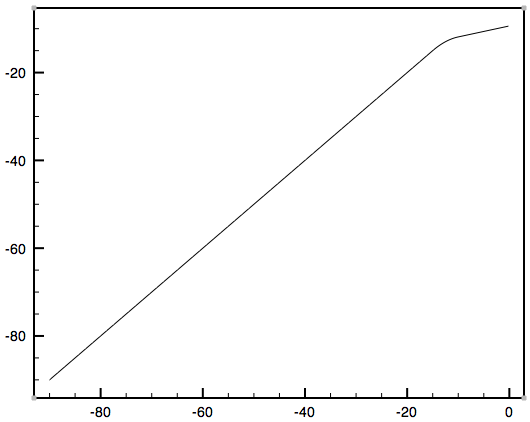 Frequency domain plot of a piano chord. Spectral analysis using the DFT is nothing new and has been around for some time, but its due to the FFT (Fast Fourier Transform) and dramatically increased performance with floating point operations in modern computers that using the DFT for analysis in real time has become practical. The DFT is calculated using convolution, which we know is very slow. 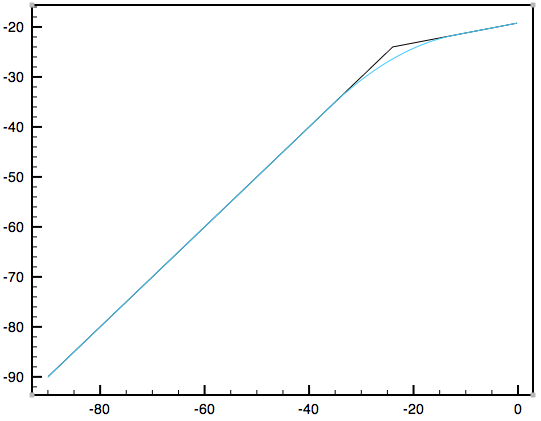 The FFT uses a highly optimized algorithm (the Cooley-Turkey is the most widely used, but there are several others) to calculate the DFT of a signal. Going into detail on the math of the FFT is beyond my experience, but fortunately we don’t need to know its intricacies to use it effectively. 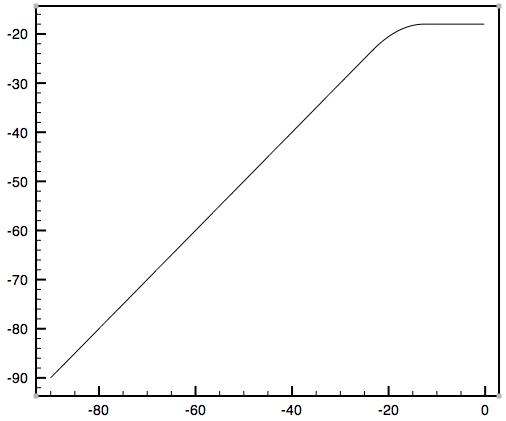 Frequency plot of 5 512-sample buffers of a piano chord. This plot shows us that most of the energy lies in the frequency range 0 – 0.04 (assuming a sampling rate of 48kHz, this would equate to approximately 0 – 1920 Hz). Now that we can extract the frequency information from an audio signal, I want to talk about how I use this data along with the RMS value to drive the particle engine I made. There are a number of parameters in generating particles that I considered. The number of particles, how they’re generated/constructed, the radius, and their color. Particles are only generated during transients, and so I check a previous RMS value against the new one to determine if particles should be constructed. This method isn’t foolproof, but with my tests it’s been working quite well for my purposes. The number of particles generated is also related to the RMS of the signal — the louder it is, the more particles are made. This is evenly divided across the whole spectrum, so that at least a few particles from each frequency range is present. The radius of each particle is determined by the frequency component (the N value of the frequency plot above). The lower the frequency, the larger the particle. Finally, the color, or more specifically the brightness of the particle, is determined by the frequency amplitude. Let me go into a little more detail on each of these before presenting a little video I made demonstrating the program. // Calculate DFT using FFT. 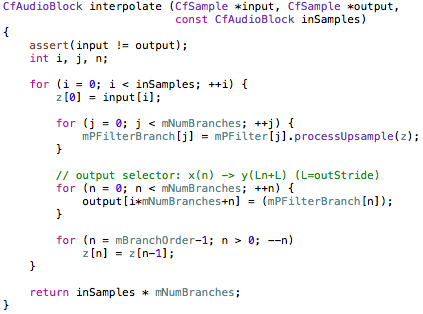 Since the FFT function I’m using requires interleaved data, it needs to be zeroed out first and then each real-valued sample stored in the even-numbered indices. 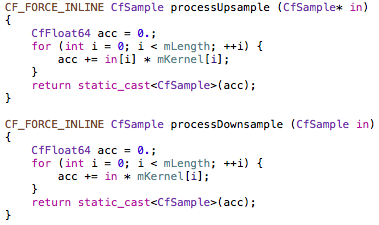 The RMS value is acquired using a function I wrote using SSE intrinsics for optimal speed. Inside the for loop, a Hamming window is applied to the signal prior to sending it to the FFT to bound it along the edges, minimizing or eliminating frequency leakage in the spectrum. 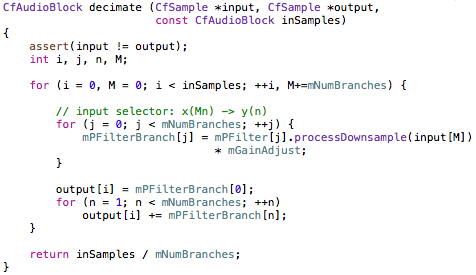 In the application’s update method, I test for the presence of a transient in the current buffer. If one exists, particles are added. 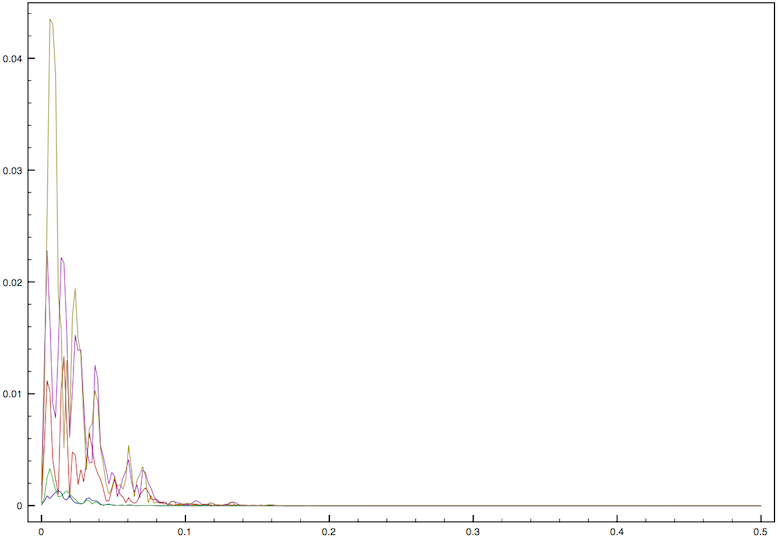 // 512 == sample block size; represents the horizontal frequency axis in the spectral analysis. The color of each particle is first determined using HSV. The hue is randomly chosen, but the saturation and value (brightness) is based on the data.mag(i) * 18 argument — i.e. the amplitude of the frequency component. This is then converted into an RGB value to set the color of the individual particle. One of the primary challenges of getting this working properly is mapping the output from the DFT analysis and RMS to usable values in the particle engine. That’s the reason for several of the “magic numbers” in the function above (1024 is not one of them; it’s double our sample length, which I said previously we only want from 0 – 0.5, and since the data stored is in interleaved format, the buffer is actually 1024 samples long). Quite a lot of experimenting went into fine-tuning these values to get good results, but more can be done in this area, which I am interested in exploring further. I feel that this is a good first step in this area, however, and I’ll be looking at ways to integrate this process into further projects and ideas I have brewing. DFT Spectral Particle Engine from Christian on Vimeo. 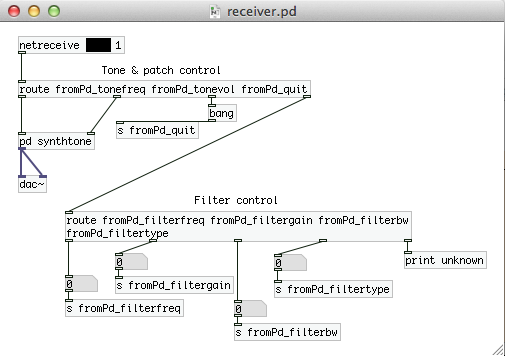 This entry was posted in Audio, Programming and tagged analysis, C/C++, Cinder, complex numbers, DFT, DSP, FFT, Fourier, frequency, OpenGL, Portaudio, programming, real-time, RMS, spectrum on June 11, 2013 by Chris.